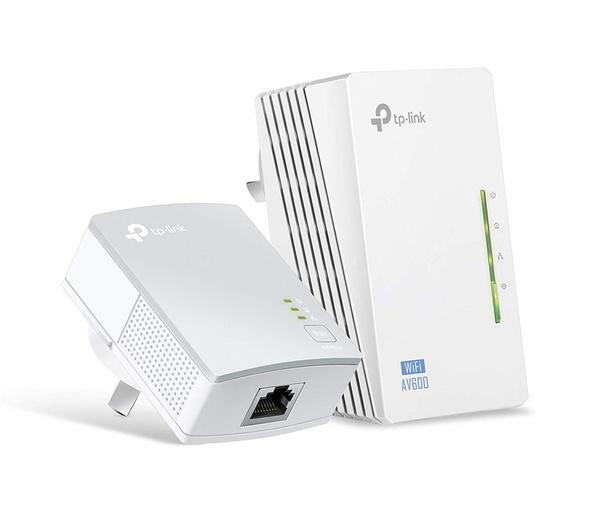 This range extender works through your house's 120 volt wiring, so it can extend your WiFi signal to anywhere in your house that has electric outlets. The slightly newer model is sold on Amazon.ca for $80. It comes with a base unit which is plugged into your router and an electric outlet and a receiving unit which is plugged into any electric outlet and produces a WiFi signal.